Be a part of this party celebrating over four decades of the phenomenon that has sparked fans to dress up and shout lines in movie theatres across the world. All four shows will feature amazing audience participation and live shadowcasts along with the film. 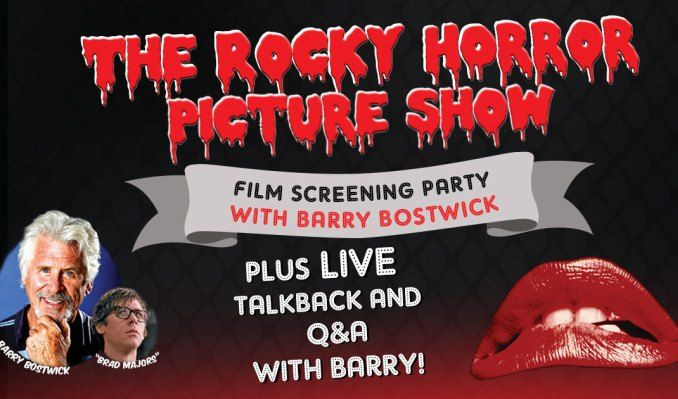 The Rocky Horror Picture Show Fan Club will be there in full force! Plus a Q&A following each screening. You can also upgrade to a VIP ticket to get a meet and greet with Barry which includes a photo with him and an autograph on an item of your choice. Get your tickets today.